or 6.879 km the territory of Morrone lies on the Celano-Foggia grazing route. This distance is equal to 3541 passo napoletano’s (1 passo = 194 cm.) 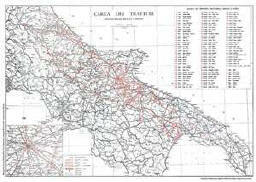 The total length of the Celano-Foggia grazing route is 81.76 km. 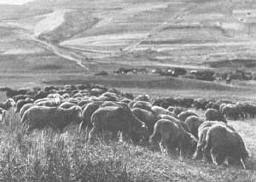 The transhumance happens in May from Foggia to Celano and in September from Celano to Foggia. The festival of S. Michele (May 8th) signaled the departure from Foggia while September 29th marked the beginning of the return to Foggia. In 1650 the land surveyors came to again check the boundaries (a reinstatement), and they detailed the grazing route. 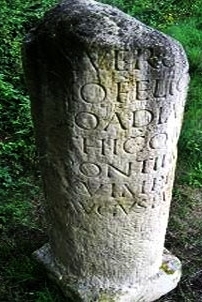 The grazing route begins at the Biferno river in the town of Pataffio (anciently called Epitaffio pietra miliare) After having crossed Colle Bianco, Colle Tentacalippo, Policarpio, one sees the roads for Castellino, S. Maria Casalpiano and Petrella; one then passes by the possessions of the Colasurdo’s, Colle Stefano, Vallone delle Lame and Colle dell’angelo, the road that leads from Campobasso to Morrone and Cancello della Corte St., Puzzacchio St., Vallone Vaccareccia and Vallone Russino, which marks the border between Morrone and Ripabottoni.